Cadillac has been rapidly expanding its growth in China and has plans to do the same in Europe. 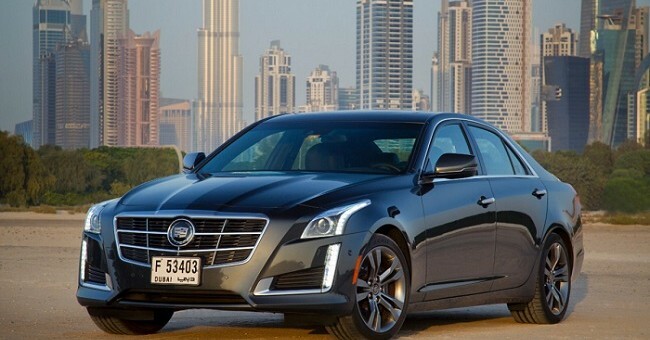 These aren’t the only places where more and more customers are getting behind the wheel of one of the brand’s vehicles though, the United Arab Emirates is also starting to get the Cadillac bug. Cadillac says last month’s 9.6% year-over-year sales growth in the country can be largely attributed to the intense demand for the CTS midsize sedan. “The CTS is becoming known for its unique and best in class features that rival other luxury brands, and this is translating into further growth for us,” says Nadim Ghrayeb, Regional Brand Manager for Cadillac. Other bestselling models which helped with March’s spike in sales in the UAE were the SRX crossover, the ATS compact sports sedan and the Escalade full-size SUV. Cadillac is anticipating further sales growth as it rolls out the 2015 Escalade SUV in July and the All-new 2015 ATS Coupe in November. “Cadillac sales in the UAE have grown every year for the last five years, and this looks set to continue as we move forward with our highly anticipated launches,” Nadim said. They do love American cars there and most do not remain stock for long. We sell a lot of parts over there. I remember one guy wanting his parts soon in Q8 as the gulf war was about to start and he wanted to get his Corvette running and leave.